"We have always had cooperation in the field of defence and security with Russia. This we are not abandoning … Yes, at the moment we don’t have much economic muscle to buy the things which we would want to buy from the Russian Federation, but down the line, as Zimbabwe becomes stronger in terms of its economic muscle, we should be able to buy the type of hardware, which we know the Russian Federation has and is the state-of-the-art type of equipment that they have, but we are not in a hurry", Mnangagwa said. "We would want initially, we don’t think we [should] concentrate on hardware. We should concentrate on manpower training in the area of the army", Mnangagwa said. The Zimbabwean president is currently on his first official visit to Moscow and will meet with Russian President Vladimir Putin later in the day. 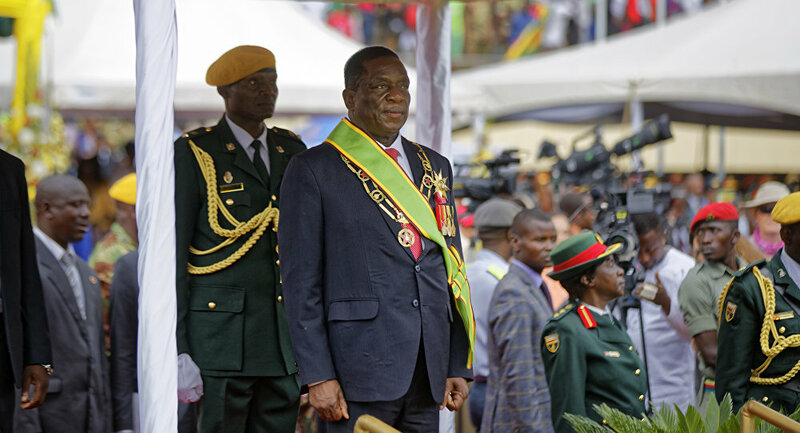 Mnangagwa addressed the recent protests in Zimbabwe, which had begun on Monday after the government doubled fuel prices. "I understand this that there were some protests happening yesterday but they are almost fizzling out and there is no country which has no challenging problems. These come and pass", he said. "We have the cheapest fuel in the world. Until three days ago our fuel was $0.60, now… we are selling our fuel at $3.31 bond notes. But we have designated service stations for our diplomats and so on who want to pay in US dollars and it will cost them $1.32 in US dollars", Mnangagwa said. Over the weekend, the prices of fuel were more than doubled, which provoked nationwide protests in cities like Zimbabwe’s capital Harare and Bulawayo on Monday. Police confronted demonstrators in the streets, and according to media reports, used tear gas on them. Several people were reportedly killed during the protests.